TwinFilr can be used for harvesting, and in an instant be flexibly deployed for sorting. The MonoFilr-Combo is a combination of two MonoFilrs and a switch connection-conveyor. The coupling and uncoupling is simple using a connection piece. 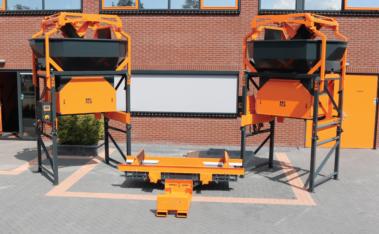 And the flexible fall breaker can be positioned in any desired direction, making it suitable for any sorting solution. Even in another Part of the packing house. The EvenFlowTipr ensures for an efficient start to every processing operation. 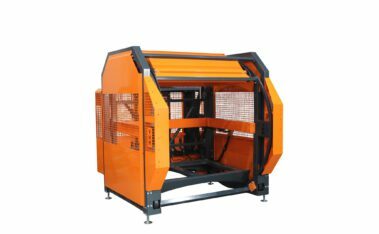 The machine is a combination of the best of two machines: the EvenFlow and the Tipr. The Tipr empties the box into the EvenFlow. 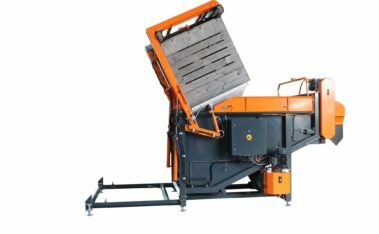 The fall height is kept to a minimum thanks to the moving discharge conveyor. 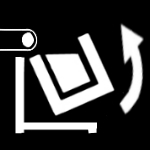 When the box is unloaded the belt is high, but lowers automatically afterwards. The EvenFlow also ensures for sufficient buffer - and constant output. More calm in the storage and store house, efficient box handling with care for your product. Simple to use and modular. VHM works with these core values. 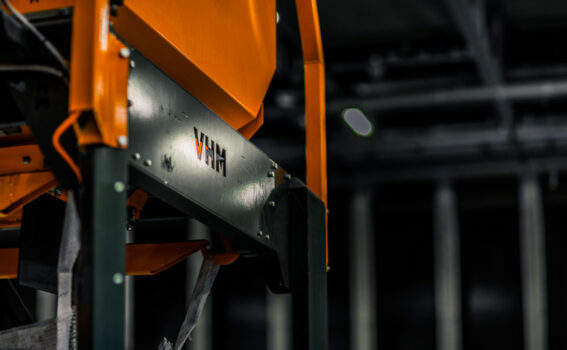 With its knowledge of agriculture, VHM develops intelligent and robust machines that you can use in the ware house all year round. Be pleasantly surprised by the unparalleled flexibility in the processing line. Regardless of the set-up that you choose.